Prices of emew revealed: How much does a 600 t/a electrowinning plant cost? One of the most important and frequently asked questions we get is “How much does an emew plant cost”? The cost obviously depends on the size of the emew plant, so to answer this question we need to know how many electrowinning cells are required, which depends on several factors. In this blog, I will discuss some of the key factors we take into consideration when sizing an emew electrowinning plant and provide some examples for three different applications. Some metals are more willing to accept electrons (i.e. be ‘reduced’) than others according to their reduction potential. For more information on reduction potentials, refer to our previous blog and video “Why some metals are easier to electrowin than others?”. 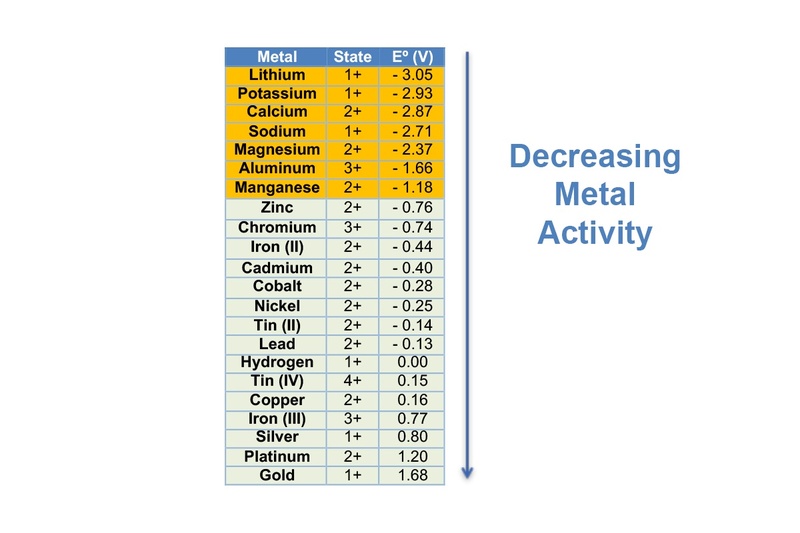 In the most general sense, metals with more positive reduction potentials (for example, Gold, Silver, Copper) are more willing to accept electrons and be ‘electrowon’ compared to metals with more negative reduction potentials (for example, Lithium, Magnesium, Zinc). Therefore, the Faraday constant for Silver (Ag+) is 4.022 g/Ah, compared to 1.185 g/Ah for Cupric ion (Cu2+) and 1.095 g/Ah for Nickel (Ni2+). 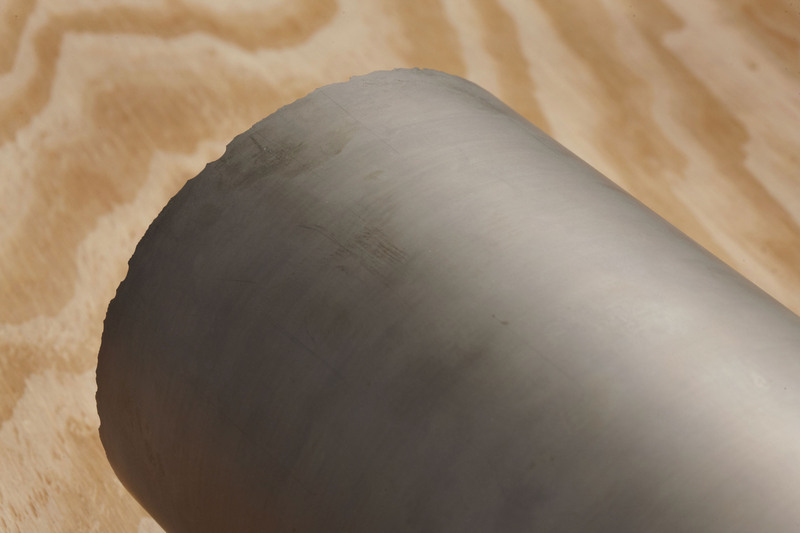 That is to say, the theoretical mass of Silver plated will be more than three times that of Copper or Nickel for the same amount of electric charge. The actual mass, however, depends on the current efficiency, which is another consideration. Low target metal concentration and/or low solution conductivity can lead to side reactions and conversion of electrical energy to heat which negatively affect current efficiency. The effect of impurities can be reasonably predicted with sufficient experience by knowing the composition of the electrolyte. In some cases, the electrolyte may require pre-treatment for example by pH adjustment, precipitation, solvent extraction or ion exchange to remove impurities and minimize their potentially adverse effects on electrowinning. Finally, once all these factors have been considered, the throughput or production rate is the last piece of the equation in order to determine the number of emew cells required to arrive at the cost of an emew plant. In this first example, we are looking at a ‘clean’ copper sulphate solution, meaning that it is only copper sulphate without impurities. In this particular case, let us assume that the solution contains approximately 35 g/L copper in solution and would be somewhat analogous to copper sulphate electrolyte produced from solvent extraction. Assuming 20-35 g/L copper in solution, a budgetary price for an emew plant to produce 600 t/a would be approximately USD 600,000. 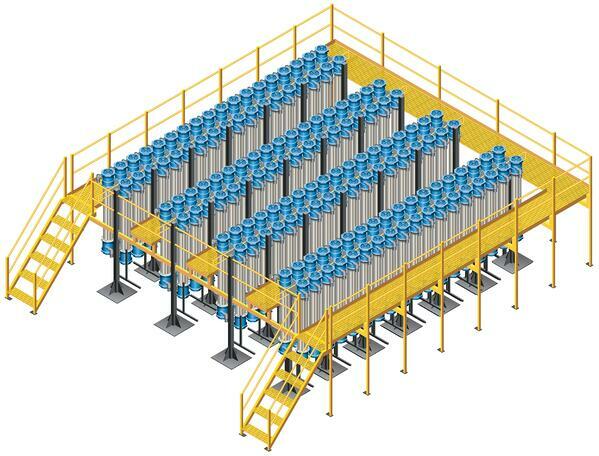 The lack of impurities means the emew plant can operate at high current density resulting in high production rate per cell. Note that this is an estimate only of a standard emew plating plant configuration and does not consider specific requirements such as UL, CSA, CE or other country/state/provincial certifications. The actual price may vary subject to specific client objectives, impurity profile, site location, make/model of pumps/rectifiers, materials of construction, etc. For a risk-free consultation and personalized quotation, click here. The second example considers a highly acidic solution of copper sulphate electrolyte that also contains other dissolved impurities such as zinc, nickel, arsenic, antimony, and bismuth. This solution would be similar to what one might find in a copper refinery bleed. 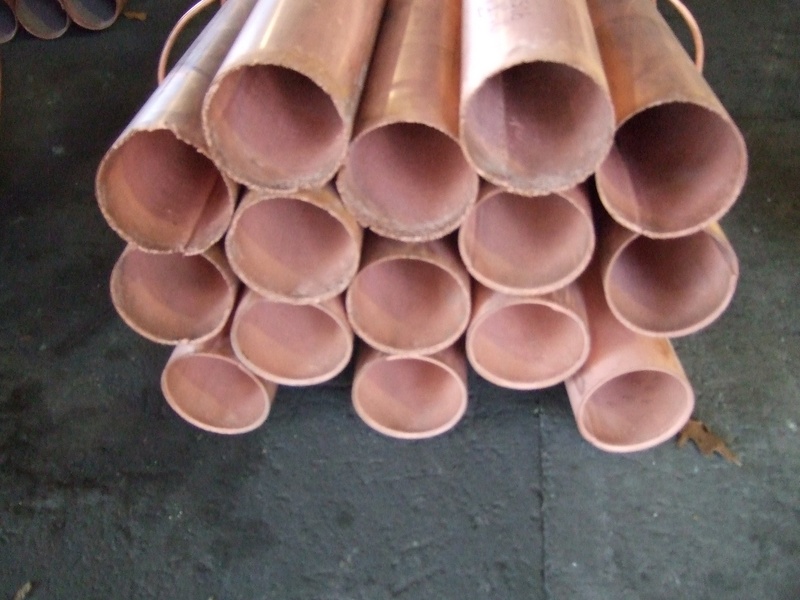 Despite the presence of an array impurities, a significant advantage of emew over conventional electrowinning technology is the ability to produce high grade, saleable copper cathode product from an impurity laden solution. The key lies in the proprietary Maximum Current Depletion Rate (MCDR) which has been developed exclusively by emew from empirical data collected over 25 years. The MCDR enables emew to essentially ‘dial in’ the optimal current density to achieve maximum depletion (to < 1 g/L) while ensuring high-grade copper cathode in the presence of a wide range of impurities. 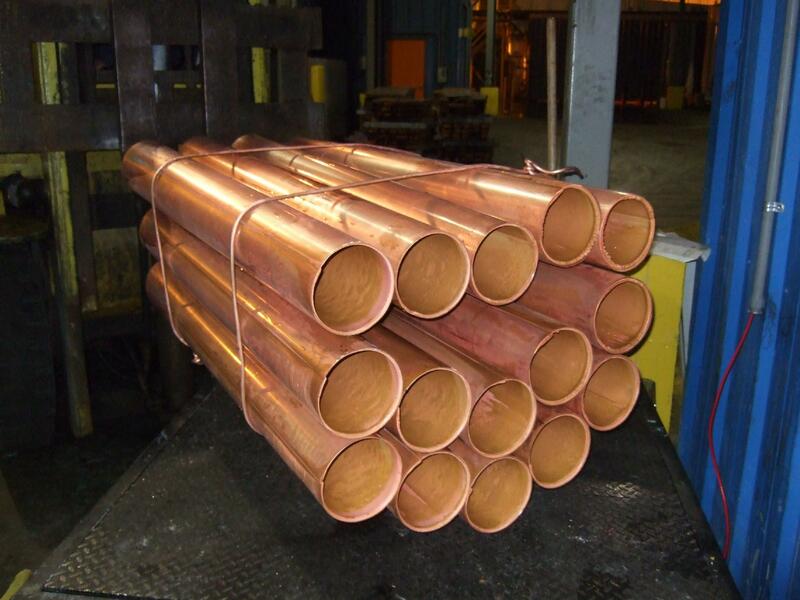 Assuming 35 g/L copper in solution with depletion to 1 g/L, a budgetary price for an emew plant to produce 600 t/a of copper cathode in this scenario would be approximately USD 1 million. The presence of impurities necessitates a bit of a trade-off in terms of current density and other parameters to ensure a high purity product, hence a higher capital cost compared to a ‘cleaner’ electrolyte which can be pushed much harder. Nickel is considered a ‘moody’ metal, in that it can be quite temperamental to electrowinning favouring constant concentration, constant temperature, constant pH and careful control of impurities, due in part to its negative reduction potential (E0 = -0.25). In most cases, nickel electrolyte needs to be purified to remove any contaminants prior to electrowinning. The closed nature of the emew cell coupled with high flow rate and the ability to control pH outside of the cell are ideally suited for nickel electrowinning. Assuming a clean nickel sulphate solution at pH 3 with no/low impurities, a budgetary price for an emew plant to produce 600 t/a of nickel cathode would be approximately USD 1.4 million. As I’ve tried to demonstrate in these examples, although the hardware is virtually identical in all three examples, the size and cost of the emew plant required are different due to the different chemistries and operational complexities. As a result of years of experience and a comprehensive database of empirical data, emew can design a metal recovery system for a wide range of applications with emphasis on Refinery Optimization, Small Mine Production, Industrial Waste & Water, Advanced Metal Powders, and Advanced Battery Materials. Why not contact our team of experienced engineers today to find out more?